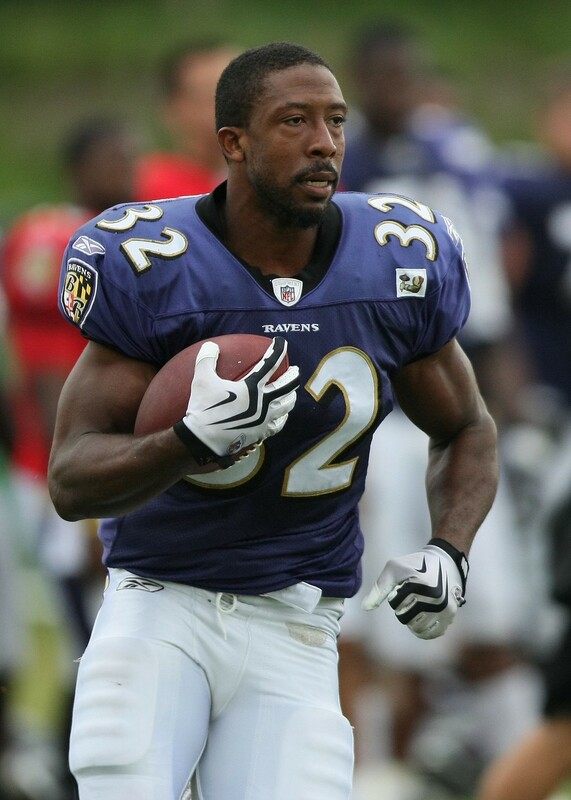 I had the pleasure of interviewing Matt Lawrence, formerly of the Baltimore Ravens. Matt founded LAWRENCE INTERNATIONAL, a non profit that focuses on helping youth and young adults achieve their full potential in life through sports, educations, arts, and other various programs. I spent the first 10 years of my life in Hartford, CT then moved to Bloomfield, CT. Both my parents went to college both of them obtained their masters. Life growing up wasn’t hard inside the house. My parents made me focus on my dreams and future rather than the violence outside. But just like every other kid, I wanted to be in the NFL or NBA (really the NBA) . I had an interesting dynamic with my upbringing. Being in Hartford my parents worked there tail off to send me to private school about 30 mins away. There I learned people, people whose compounds were as big as my block. Kids were from the richest neighborhoods in my state and here I was from one of the poorest. But money doesn’t buy you intelligence, heart, or drive. I learned that after feeling inferior for some time. Applying in the classroom and on the football field gave me confidence. My parents were my biggest fans of everything I did. I carry this confidence with me until this day. I went to through high school dominating the competition. I also met my future wife and the love of my life in high school. My mindset was built on a solid foundation of Christ and great parents. After high school I was good enough to earn a scholarship, attend UCONN where I played for 2 years. My dreams were to earn a college degree and to make it to the NFL. My coach at UCONN didn’t think I had “IT” (the talent to make it to the NFL). So I listened to what my parents always told me “Always go where you are valued”. So I transferred to UMASS where they valued me more. I earned my degree in sociology, did well on the football field, and the Chicago Bears thought I had the “IT” factor. So off I went. They even signed me on my birthday. I played hard, but I was cut during my first camp. Eventually was Signed by the Seahawks, lasted out there for 10 DAYS. That was a nightmare. Then I went to start putting applications in for grad school when the Ravens called. I strapped up the old helmet and got ready to play running back against the defense in the NFL. (Its funny I jokes in high school that I would hate to play for the Ravens because the practice squad running back would have to face Ray Lewis every day) But yet here I was, what are the odds. I even ended up making the team. I spent 4 years playing with the Ravens and while I played I also attended executive education classes at the Wharton School of Business. I was able to really start to cultivate my Lawrence International dream. However, bad news happened and I was forced to retire due to a massive concussion. This stopped my progress immediately as I went into years of rehab. Luckily for me my cousin James was able to take on almost all of the load and help to develop a strong team. LAWRENCE INTERNATIONAL is non profit that focusing on community programming. We help youth and young adults achieve their full potential in life through sports, educations, arts, and other various programs. This is one every football player can relate to. During camp coach would put an O linemen on the Goaline and have the punter kick it up to him. And for us if he catches it we had the next off. Well our O lineman caught and we were SO HAPPY and elated nothing could bring us down. I give it all the time. Go to the college that values you the most. Never waste your time trying to prove your worth to people who don’t see your talent. You have four years to make an imprint. Take that very serious. Also, you can get amazing grades, choose to take advantage of every available opportunity. Educational opportunities are #1 football is number #2. There are 54 people on a roster and when making a team that had a full team the previous year and they don’t need you. My parents showed me how to be great, how to have confidence in myself without being cocky, and how to have thick skin. Story: my mother made me stand in front of the mirror every morning and make me say 3 positive words about myself. How have you used your success to bring goodness to the world. My wife and I have donated our time at our local church by helping teenagers learn about Christ and also helping them with life skills that can help them be the best versions of themselves. Are you working on any meaningful or exciting non profit projects? Lawrence International is currently hosting a series of sports clinics where we will introduce and reintroduce sports to youth across the globe. As of now we just support a camp in Turks & Caicos where we brought Dominic Wright a pro basketball player (Qatar) as well as George Hill (Cleveland Cavs). We also have some projects coming up in the pipeline on the educational side of things. We are looking to build a series of libraries across the Caribbean. We are in the early phases of this but we are very excited for the opportunity. Yes, Jaelen Churchill a young brilliant mind from Norman Oklahoma. We helped Jaelen in high school see her college potential. Not just going to college but getting there and excelling. High School and College can be rough emotionally and physically for student athletes. But we poured into her the #TeamLawrence way and that’s with everything we have. What makes her special and with all off our youth is that we can never take all of the credit Jaelen has an exceptional drive and wants to be something great. We just help cultivate that fire that burns within these teens. We’ve learned that if we can get them to see themselves as great they WILL achieve it. There are more people who are willing to help you than hurt you. When I take a look back in my life and analyze everyone who helped me succeed, I find that people such as coaches, trainers, teachers, and family friends just want what’s best for you. What is generally told to everyone is “watch out for the snakes” and “everyone is out to take what’s yours”. Your lens that you view life will make a huge impact on how quickly you succeed. There’s nothing wrong with being cautious but everyone isn’t out to get you. Get around the best talent possible as early as possible. I wish in high school I went to more camps and played against more top tier talent. I went to the Michigan State camp while I was in high school and did very well. However I could’ve went to more top their camps but decided not to. If you want to be the best you have to train around them. Don’t get defeated when you’re not #1 in your class or not on the top of the depth chart. I wasn’t particularly down on my self on the football field but in the classroom I could get into a slump. I would eventually bounce back strong but it could take me weeks to get out to my funk. Fight mentally in your dark spaces at a young age so they don’t affect you once you’re older. Honestly our newest campaign #TeamLawrence. It’s a family concept that gives support as well as accountability to people. People need a tribe and should feel valued. If you don’t have anyone supporting you, you have #TeamLawrence in your corner. #TeamLawrence will be focused towards our young adult community. What we provide them with is professional consulting and in turn they come and use their current job skills to help Lawrence International with current ongoing or future projects. Simplicity is key when dealing with individuals lives. We will give and require great sacrifice. We will literally show them what their sacrifice can lead to by using others who have been successful. Then when they come back and give back to Lawrence International a younger version of themselves will see and understand the sacrifice it will take. Don’t sweat the small stuff, and everything’s small. The great vision that these individuals have is amazing. They are strong where others are weak. There faith in outstanding and they are unashamed. Watching them do what they are called to do is a thing beauty and I would love to meet them.